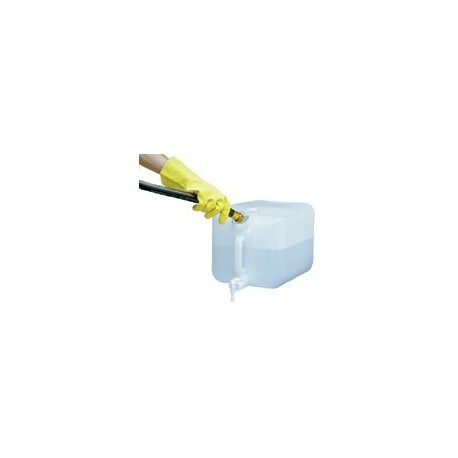 The E-Z FILL 5 GALLON CONTAINER is user friendly for easy filling and pouring. This heavy-duty, leak free container is intended for use with a wide variety of liquids, including UV materials and chemical concentrates. Includes a 63 mm angled front opening for filling, 38 mm top vent which accepts standard 3/4" tubing, and controlled-pour, tight-fitting faucet for dispensing liquids. Faucet spout fits into 28 mm bottleneck with no spilling. 38 mm cap included to seal top vent. 1/2 gallon embossed graduations on top and front. Also available now in 2.5 gallon.